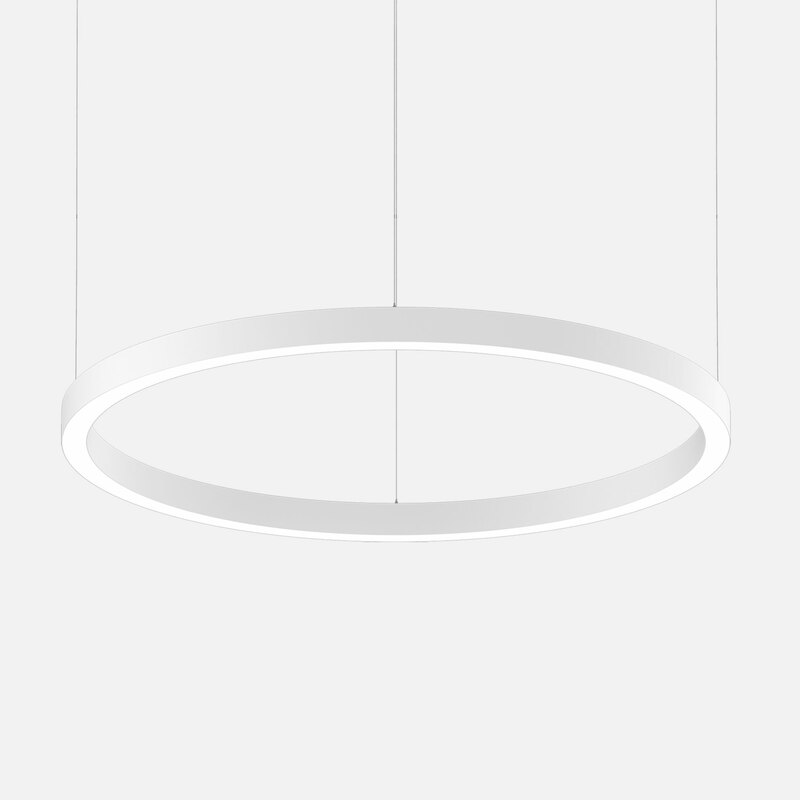 Ring shaped luminaire housing from rolled aluminium extruded profile, seamlessly welded; surface powder coated in white, grey, dark grey, black, beige or dark brown; lighting insert consisting of highly reflective coated die-cast aluminium for improved thermal management; Suspended luminaire with 1500mm cable suspension; with integrated tool-less suspension height adjustment; incl. transparent feed; HPO (High Performance Opal) cover for uniform illumination; with increased transmission and diffusion; micro prismatic PMMA diffuser incl. diffuser film for homogeneous illumination and reduced luminance; optional with direct/indirect illumination characteristic for additional emphasis of the ceiling and more visual comfort; energy-efficient LEDs with very good colour rendering; binning initial ≤ 3 MacAdam; available in the light colours 3000K and 4000K; CRI ≥ 80; min. 80 % of the luminous flux after 50000 hours; protection class IP 20; PC I; optionally non-dimmable or DALI dimmable.